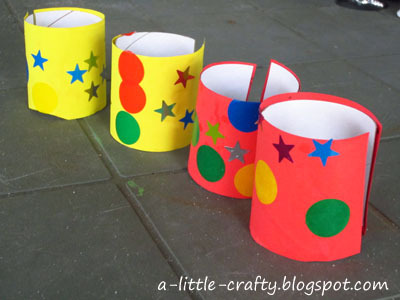 A nice little craft activity to do with the kids. Take a cardboard roll. Cut it lengthways, and then cut it in half around the middle. 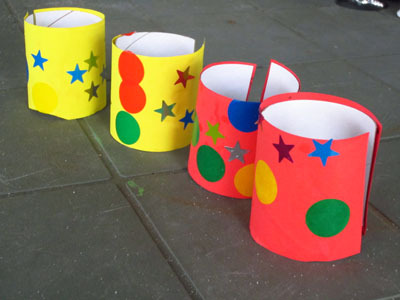 Cover it in some bright coloured paper, and let the kids loose with some stickers. Best for fine days when the kids can use their new-found super powers outdoors.